"Dr. Gorens just gives me life. One of the best OB/GYN's I have seen." "Dr. Gorens has been my OB for many years and I just love her." "Dr. Gorens delivered my son 26 years ago...thanks Dr. Goren!!" "I was recommended to Dr. Gorens by a co-worker and very pleased with my experience." "Dr. Gorens is the best! She is my favorite doctor she listens and gives sound advice." "I love Dr.Gorens!!! 20 years as my OBGYN and she rocks!" "Very considerate, low-key, informative, recommended new and excellent medications." "Dr. Gorens is an awesome doctor and has a fantastic team assisting her." 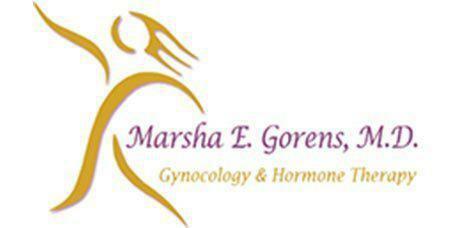 Marsha E. Gorens, MD, is a board-certified obstetrician and gynecologist serving the women in and around the Chicago area. With more than twenty-five years of experience as an OB/GYN, Dr. Gorens understands the nuances of women’s health and the role that body image can play. Besides providing women’s health care, Dr. Gorens is committed to promoting the importance of healthy skin and improved skin care practices. Her practice strives to renew and rejuvenate all skin types, with an emphasis on mature skin and women of color. At her full-service medical spa in Chicago's Near West Side, Dr. Gorens wants to help women achieve their goals for restoring their natural beauty. In addition to her gynecologic and obstetrics training, Dr. Gorens’ expertise in a number of laser systems and aesthetic procedures allows her to offer a broad array of cosmetic medical enhancement services. Some of these include laser hair removal, Botox® treatments, dermal fillers, and microdermabrasion. Beyond aesthetic procedures, Dr. Gorens’ specialties include gynecology, hormone replacement therapy, menopause, and andropause as well as surgical procedures and treatments for common illnesses. After completing her undergraduate degree at the University of Illinois in Champaign, Dr. Gorens earned her medical degree from Abraham Lincoln School of Medicine in Chicago. She went on to complete her obstetrics and gynecology internship and residency at the University of Wisconsin School of Medicine and Public Health in Madison and Mount Sinai Medical Center in Milwaukee. When she’s not treating patients, Dr. Gorens is an instructor in clinical obstetrics and gynecology at Northwestern University Medical School in Chicago. Dr. Gorens is also an associate attending at Northwestern Memorial Hospital and Rush-Presbyterian St. Luke’s Medical Center. "I've seen Dr. Gorens for gynecological services for several years. I love her calm and open nature. She spends a lot of time talking to you." "Ladies, Dr. Gorens is so far the best OB I have ever been to. She has been my doctor for four years now. The office staff is very nice..."
"If you are looking for a Doctor with great people skills, is professional...and takes time with you then Dr. Gorens is the best and only OBGYN." "This doctor took time with me, listened to all my questions and made me feel comfortable. I wasn't rushed by her or her staff, and felt she was very knowledgeable." "I saw Dr. Gorens several times for my menopausal problems she is by far the best OBGYN doctor there is." "I have been with this Doctor for 11 years and 4 operations. She is kind and thoughtful-she will give you the time you need to answer all your questions." "Dr. Gorens is an excellent doctor. She is the best in the field. She is patient. You will never feel rushed. She is the most thorough doctor that I've ever seen."